The Spring 2016 collections of Fashion month has concluded and it was great to get to see what's going to be in stores in the next few months. But this post is not about the clothes. what's also great about these fashion shows during the fashion weeks in NYC, London, Paris and Milan is the subtlety or extravagance of runway sets. 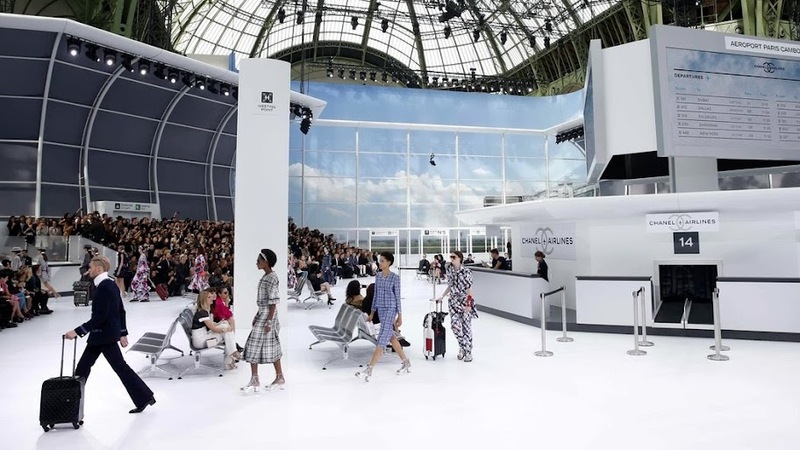 Hands down my favorite this month was Chanel's runway which was transformed in to Chanel Airlines. 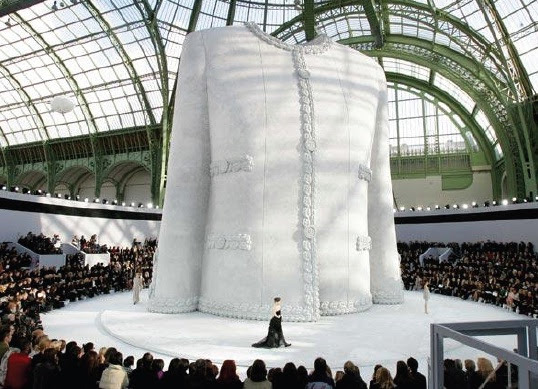 This got me thinking, this isn't the first Chanel had an over the top runway presentation. 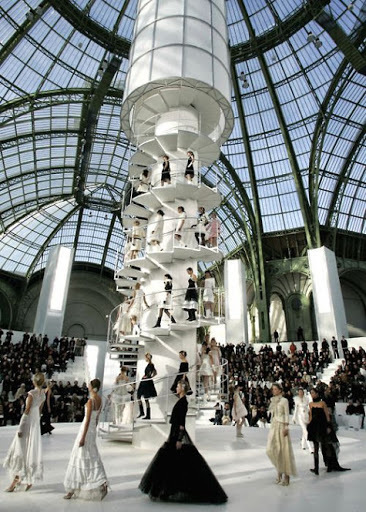 Below is 10 other times the Chanel runway show set was a major hit. Chanel Spring 2006 Haute Couture. A massive staircase in the middle of Grand Palais. Taking energy conservation as the inspiration the Spring 2013 runway had wind turbines and solar panels. Highlighting the iconic staple of the Chanel brand, the Spring 2008 runway had a statue of the classic Chanel tweed jacket. 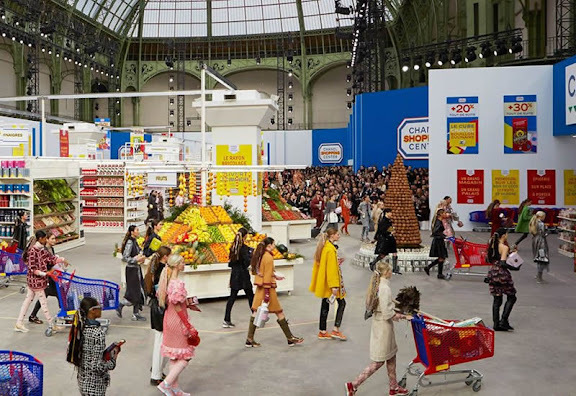 For Fall 2014, Chanel decided to take the models down the aisle in Chanel-made Supermarket. 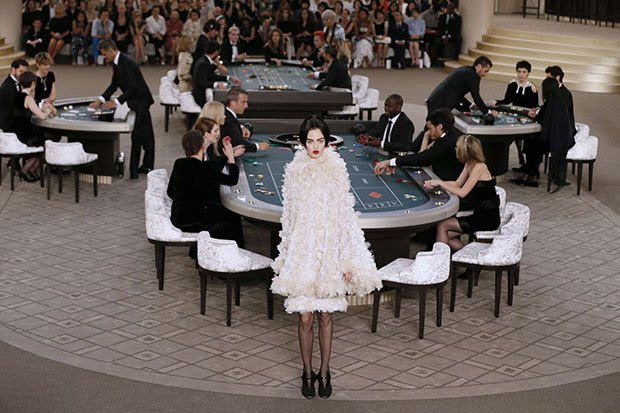 Chanel literally took a gamble and turned the Fall 2015 runway into Chanel Casino. 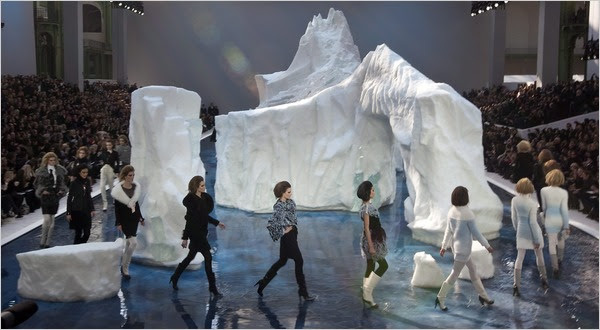 Brrr it's cold in here.... Chanel brought out floating icebergs for Fall 2010. The next season Chanel continued its earthy trend and the Fall 2011 runway was an apocalyptic landscape fog and black rocks outline the catwalk. Designer Karl Lagerfeld entertained his showgoers during the Spring 2013 in a makeshift spacecraft. 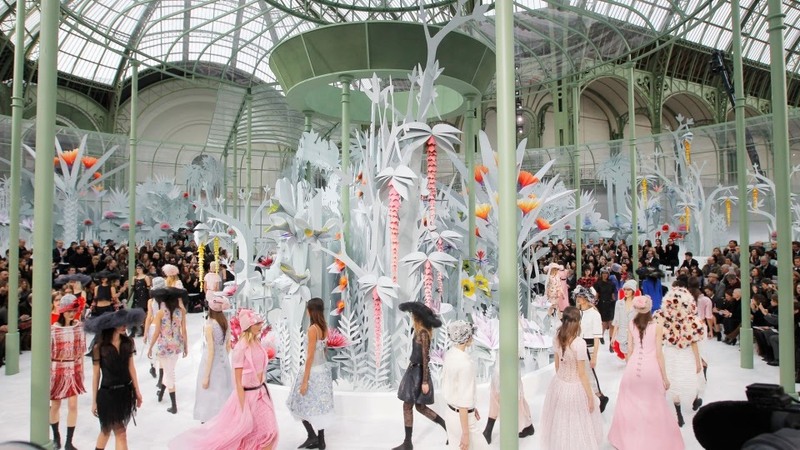 One of my favorite set design was the the Haute Couture Spring '15 the Grand Palais was transformed into a botanical glasshouse. 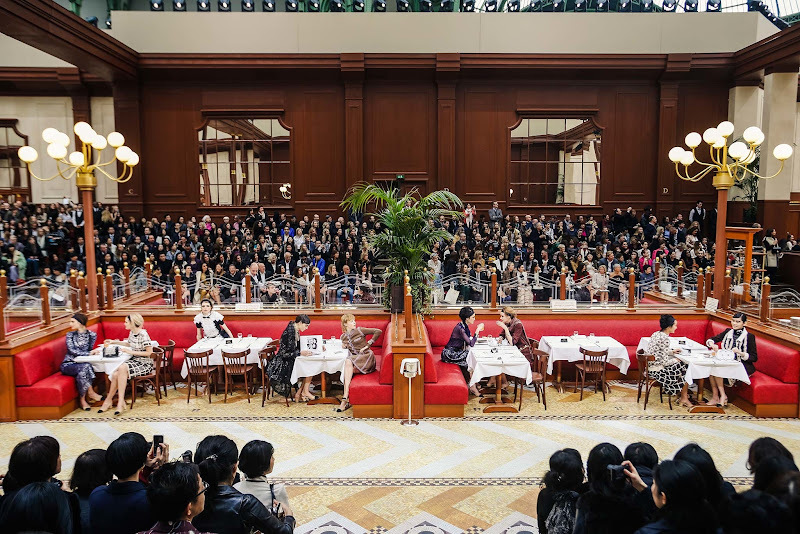 Last season for Fall 2015, the runway turned in to real brasserie, models enjoyed tea and coffee while the show went on. What's your favorite Chanel fashion show set moment?